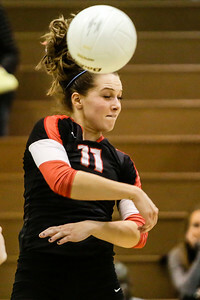 Lathan Goumas - lgoumas@shawmedia.com Huntley's Emily Westermeyer hits the ball during a match against Crystal Lake South at South High School in Crystal Lake, Ill. on Thursday, Oct. 17, 2013. 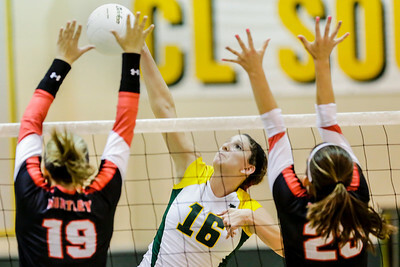 Crystal Lake South defeated Huntley in the match. Lathan Goumas - lgoumas@shawmedia.com Members of the Crystal Lake South volleyball team celebrate the winning point during a match against Huntley at South High School in Crystal Lake, Ill. on Thursday, Oct. 17, 2013. Lathan Goumas - lgoumas@shawmedia.com Avalon Nero of Crystal Lake South hits the ball during a match against Huntley at South High School in Crystal Lake, Ill. on Thursday, Oct. 17, 2013. 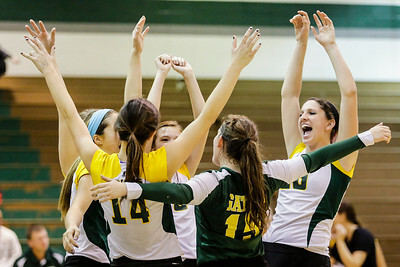 Crystal Lake South defeated Huntley in the match. 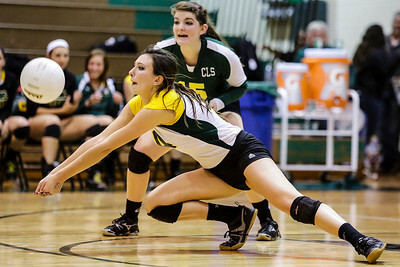 Lathan Goumas - lgoumas@shawmedia.com Crystal Lake South's Carly Nolan hits the ball during a match against Huntley at South High School in Crystal Lake, Ill. on Thursday, Oct. 17, 2013. Crystal Lake South defeated Huntley in the match. 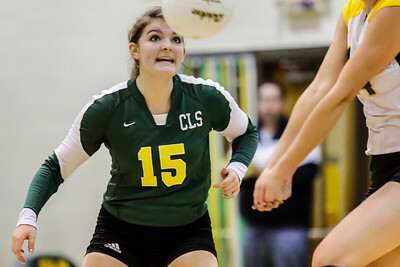 Lathan Goumas - lgoumas@shawmedia.com Crystal Lake South's Hannah Wilson watches the ball as it is hit by Avalon Nero during a match against Huntley at South High School in Crystal Lake, Ill. on Thursday, Oct. 17, 2013. Crystal Lake South defeated Huntley in the match. 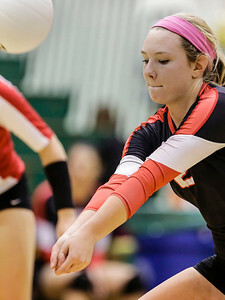 Lathan Goumas - lgoumas@shawmedia.com Huntley's Erin Lyman hits the ball during a match against Crystal Lake South at South High School in Crystal Lake, Ill. on Thursday, Oct. 17, 2013. Crystal Lake South defeated Huntley in the match. Lathan Goumas - lgoumas@shawmedia.com A ball is hit back towards Emily Westermeyer of Huntley during a match against Crystal Lake South at South High School in Crystal Lake, Ill. on Thursday, Oct. 17, 2013. Crystal Lake South defeated Huntley in the match. 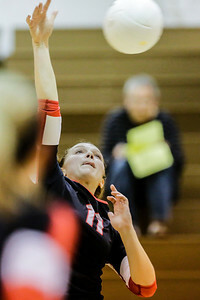 A ball is hit back towards Emily Westermeyer of Huntley during a match against Crystal Lake South at South High School in Crystal Lake, Ill. on Thursday, Oct. 17, 2013. Crystal Lake South defeated Huntley in the match.